Facebook is the social media behemoth and with the addition of Instagram Stories that doesn’t seem like it’s going to change any time soon. It seems to happen every time. As soon as a social media platform arrives on the scene and starts to take some of the spotlight, Facebook swats it away like Godzilla with a fighter jet. While previous social sites like Myspace and Friendster had a brief moment in the sun before fizzling out as users gravitated to the next big thing, Facebook has remained the number one social media service for years and doesn’t appear to be losing any steam. In fact, as of the second quarter of 2016 Facebook boasts 1.71 billion monthly users (Statista). The next two closest are messaging service WhatsApp (1 billion users per month) and Facebook’s own messaging service at 900 million users. Safe to say that Facebook has a stranglehold on the social landscape, and is looking to continue this with Instagram Stories. While the numbers that Facebook can boast are staggering, there has been a movement away from the platform: young people. Maybe it’s the ads, or the fact that their parents are active on Facebook, but Snapchat has been the platform of choice for teens and millennials, who account for 70% of Snapchat users (eMarketer). Many people were taken aback at the $1 billion price tag Zuckerberg and Co. paid for Instagram. At the time, Instagram was simple photosharing app with a medium sized user base of 30 million. However, it was growing fast and starting to capture the younger fan base from Facebook. After the acquisition, Instagram continued to grow into the brand it is today, boasting 500 million monthly users and surpassing other popular social media platforms such as Twitter and Pinterest. Looking at the past, it’s no surprise that Facebook has made a move to directly compete with Snapchat. Instagram Stories are fairly transparent in their attempt to ape the functionality of Snapchat. Users can take photos and videos (or use existing captures), insert custom overlays, and post for all of their followers to see. Stories get rotated out, so that users have to keep uploading new content. 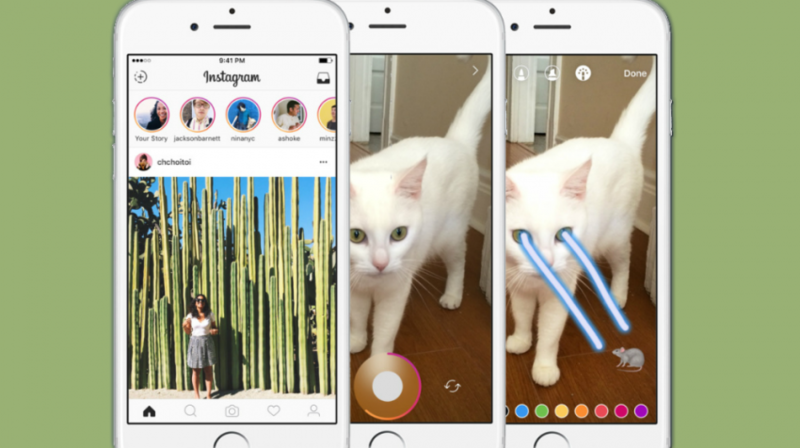 Anyone who has used Snapchat would be instantly familiar with the way Instagram Stories work. While Snapchat users may just opt to use Instagram rather than another app, what does any of this mean for advertisers and brands? Advertising on Snapchat has had mixed results for brands, due to a lack of user data to be used for targeting as well as the limited scope of the Snapchat audience. It would seem that having the advantage of Facebook’s robust advertising platform, in addition to a larger, more diverse built in audience has Instagram Stories poised to overtake Snapchat in terms of brands on the platform. 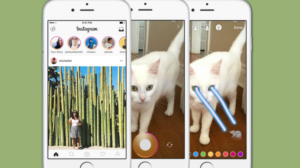 Of course, only time will tell whether Instagram Stories are the “Snapchat Killer” some expect it to be. What is clear is that Facebook has once again poised itself to dominate social media for years to come.